What’s Your Perfect Working Day? 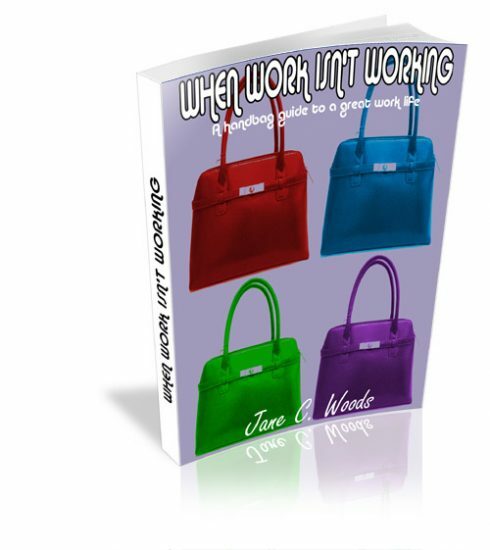 I wrote ‘When Work isn’t Working’ for all my coaching clients who came to me dissatisfied with their work. People were unhappy with the job they had, for all sorts of reasons, but just didn’t know what to do instead. They felt stuck. And so I wrote a creative visualisation especially for them, which is in the book, and is now available for you to listen to right now completely free! Reading a visualisation doesn’t work as well as hearing it. Which is why I have recorded it and it is on the site, entirely free of charge for you. If you have the book already, you will find it enhances all the exercises you have already done. And if you don’t have the book, don’t worry – it works well on its own. Simply click this link ‘Your Perfect Day‘. You don’t need to enter any details. You can either listen to it directly from your computer, or, (recommended) down load it to a player and take it somewhere calm and relaxing for you, where you won’t be interrupted. I hope you enjoy listening to it and that it takes you closer to achieving your ideal job. Please do share with anyone you think might benefit from it. RenewYou is my one day course to inspire and empower women. It’s licensed to trainers and coaches across the globe. If you’re interested to know more, please click this link. Just done the Perfect Day download, it’s so relaxing. I pictured where I wanted to be in five years and it has given me a real buzz of what I might be doing! I thought the exercise of relaxing at the beginning really helped with clearing my mind completely.